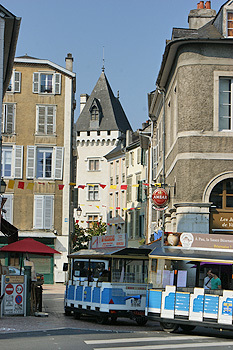 Pau, capital of Béarn, the second town of Aquitaine, has more than 145,000 inhabitants. It has a mild climate and is situated at the foothill of the Pyrenees. Ideally located halfway between the sea and the mountains, the town has always been an inspiration for painters and poets. In fact the Pyrenees Mountains are a permanent backdrop to Pau especially when you are walking on the boulevard des Pyrénées. Lescar, Morlaas then Orthez are all former capitals of Béarn. Pau became the capital of Béarn under Gaston Fébus and this was confirmed when Jean d'Albert and Catherine of Navarre built the famous Château de Pau. 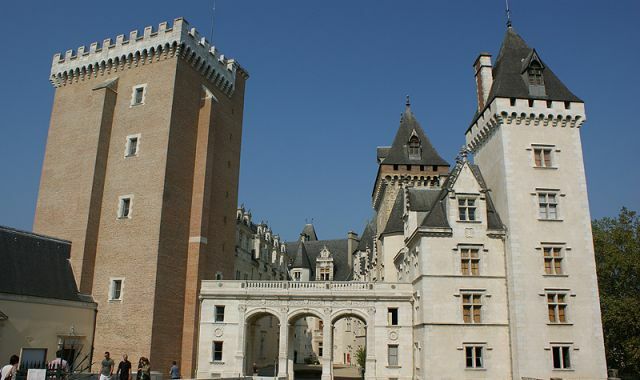 After Gaston Fébus built a brick donjon during the 14th century, it was Henri II d'Albret and Marguerite d'Angoulême who gave Pau Castle its Renaissance style. Jeanne d'Albert, their daughter, confirmed the influence and the autonomy of Pau. She gave birth to Henri III of Navarre, who was christened with Jurançon wine. Henri III of Navarre later became Henri IV of France and remained an emblematic figure of Pau and Béarn. We recommend a visit to the castle. There is the “salle des cent couverts” (100 seater dining room), a family lounge, a grand salon, the sovereigns room, the Empress Eugenie’s apartment, Henri IV’s birth bedroom, and the beautiful renaissance gardens at the foot of the fortifications to see. It was during the French Revolution and following the creation of the département of the Basses Pyrénées (which became later the Pyrénées Atlantiques) that Pau regained some importance. The mild climate, which is beneficial for your health, brought in an influx of English speaking people during the 19th century. They made Pau a wealthy town by building villas and other beautiful bourgeois houses. They even built a golf course, the oldest one in France! Pau experienced a new boom after the Second World War, this was closely linked to the discovery of natural gas deposits at Lacq, a few kilometres to the west. Today the town is attractive and dynamic. It has a university, business schools, high tech industrial zone and sports arena. Zénith is grounds of their first class sports teams in basketball and rugby. 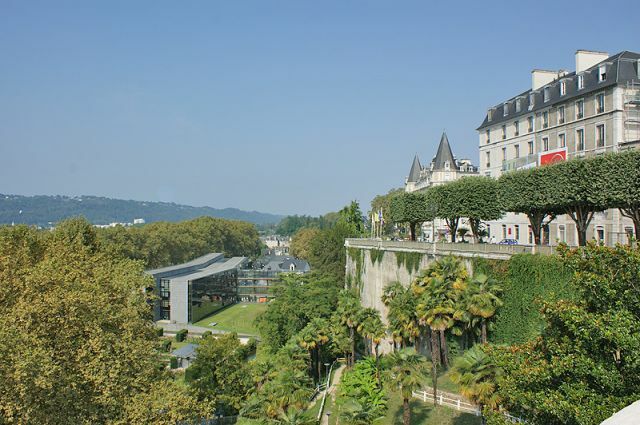 Living in Pau is very pleasant; the town prides itself on having the most green spaces per inhabitant in Europe. 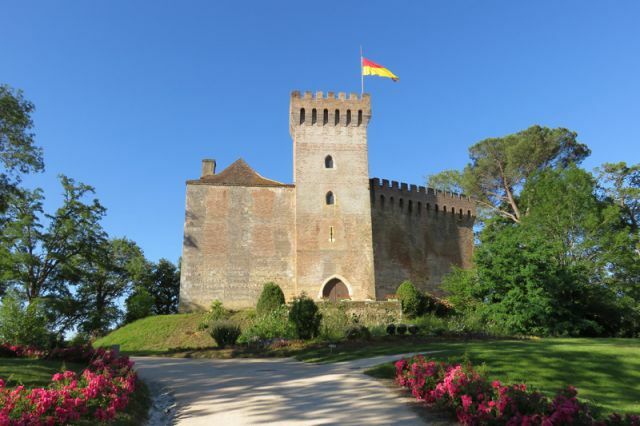 The Morlanne Castle, sentinel of Béarn is situated at the border of the Landes and the Pyrénées-Atlantiques. It is part of the fortifications network built by Gaston III de Foix-Béarn (aka "Gaston Fébus") to protect his territories during the One Hundred Years War conflicts. Built in 1373 for his step-brother Arnaud Guilhem of Béarn, Morlanne Castle is one of the most beautiful examples of the Febus construction, an atypical architecture mixing stone and bricks. Through the centuries, the fortress has had many owners as well as many alterations before being restored in 1970s by Hélène and Raymond Ritter. The couple sourced an important collection of furniture, paintings and art objects from the Département of the Pyrénées-Atlantiques. The park round the castle is open all year round. This means the park can be seen in all four seasons. The site is listed as a Historic monument. The donjon and the small court are open to visitors. More information here. Over the last few years, the ruins of the Gallo-Roman villa of the Lalonquette have been open to visitors. 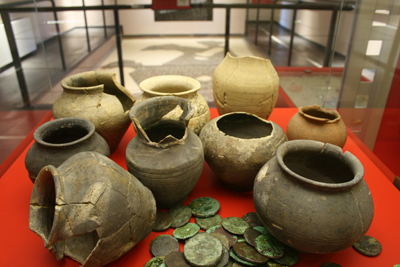 There is also the Gallo-Roman Museum of Claracq, the neighbouring commune of Lalonquette. 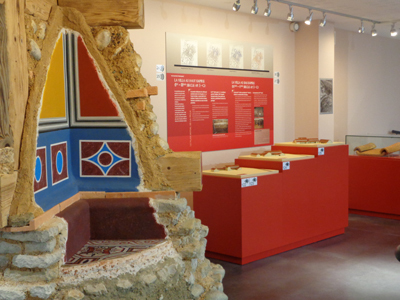 Installed in a renovated farmhouse, the permanent exhibition tells the story of this old rural building with its beautiful mosaics made during the 1st to the 5th centuries. Visitors to the museum, can see the aristocratic life of the former owners, illustrated by the architecture, decor and collections belonging to a countryside palace of the 4th century. More information here. From the low hills to the South West of Pau there is a magnificent panorama of the Pyrenees mountains. Here you will find the vineyard of Jurançon! Here you will see tall vines. Their height is to help avoid frost. The vines produce beautiful dry white wines and sweet and smooth liquors. The oldest 'crus' are gold in colour and are reminiscent of Monbazillac or other Sauternes. Lescar and Morlaas, both former capitals of Béarn, are worth a visit. Today they are the suburbs of the regional capital. Lescar, first bishopric of the region, is a very beautiful old town. Morlaas has a beautiful church, Ste Foy Church, listed as one of the remarkable churches of the region. 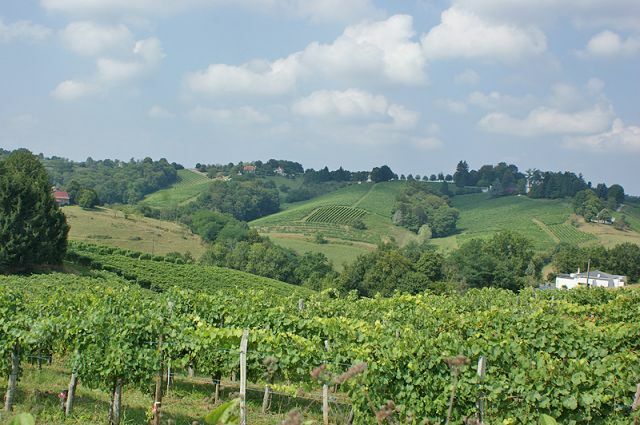 To the North of Pau, towards the Coteaux de Gascogne, you can find hilly country. The low green hillsides run up to the borders of Chalosse and Tursan. There are lovely lively villages, Romanesque churches, poultry farms, enclosed to the west and east by two former regional capitals, Orthez and Morlaas, and to the north east by the country of Vic-Bilh. The famous vineyard of Madiran is here. This part of the Béarn is part of the Coteaux de Gascogne. These wines were once used for the Mass...So much progress has been made in the production of wine. In 1948 the AOC* Madiran was granted. The vineyard of Madiran stretches into three départements: the Pyrénées Atlantiques, the Gers and the Hautes Pyrénées. 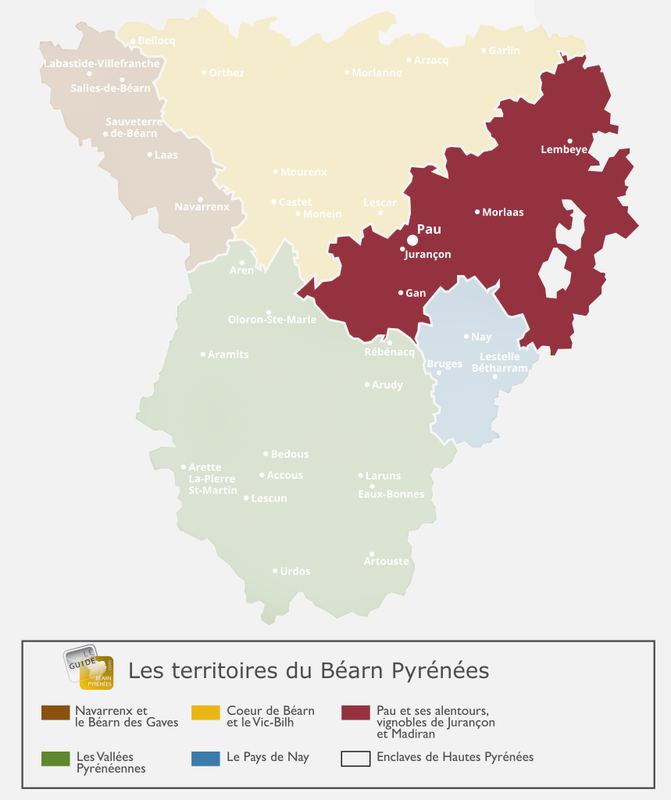 Just over 40% of the vineyards are located in Béarn. The vineyard mainly produces red wine. It is very tannic. It is a robust wine, ideal for red meat and game. Today the winemakers have made Madiran a trendy wine. White wine produced here is the Pacherenc. It is dry or sweet. This AOC white wine, produced in the region of Vic-Bilh, is best served with regional products such as Pyrenean cheese, foie gras or desserts. More than a hundred winemakers are here to welcome you and let you taste their products. These wines, with their unique flavours, will delight your taste buds. More information on the site Pau-Pyrénées here. * The appellation d'origine contrôlée (AOC; French pronunciation "protected designation of origin") is the French certification granted to certain French geographical locations for wines, cheeses, butters and other agricultulrual products, all under the auspices of the government bureau (Institut National de l’origine et de la qualite) .